The Scouts Oz App, developed for Android and iOS devices is the newest in a series of exciting digital products created by Scouts Australia for youth and Leaders to help them to Be Prepared...for new adventure in the digital age. This exciting App not only has features like a National Scouting news feed, Award Scheme section and some highly entertaining videos, but for the first time also has a National Scout Venue locator, which lists Scout Halls across the country. Download 'Scouts Oz' via the App Store by clicking here! Download 'Scouts Oz' via Google Play by clicking here! 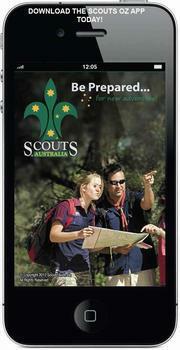 Stay tuned as Scouts Australia develops more digital and mobile Scout products for its members!